This hummus fundido has a spicy chipotle kick to it. 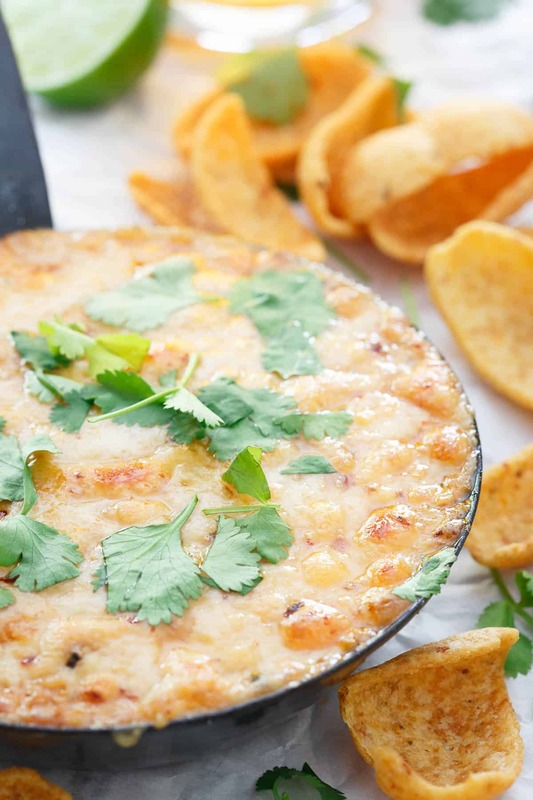 Use chips or even roasted vegetables to dive into this baked cheesy dip. Most food holidays come and go with me being completely unaware that they even existed in the first place. I mean, who makes these things up? What’s the process for declaring such a thing? Is there some governmental body or committee that approves things like National Pie Day? Probably. In which case, I’m second guessing my career choices over here. National Hummus Day is one of these amazing food holidays. Only difference is, I’m fully aware of this one and ready to celebrate! 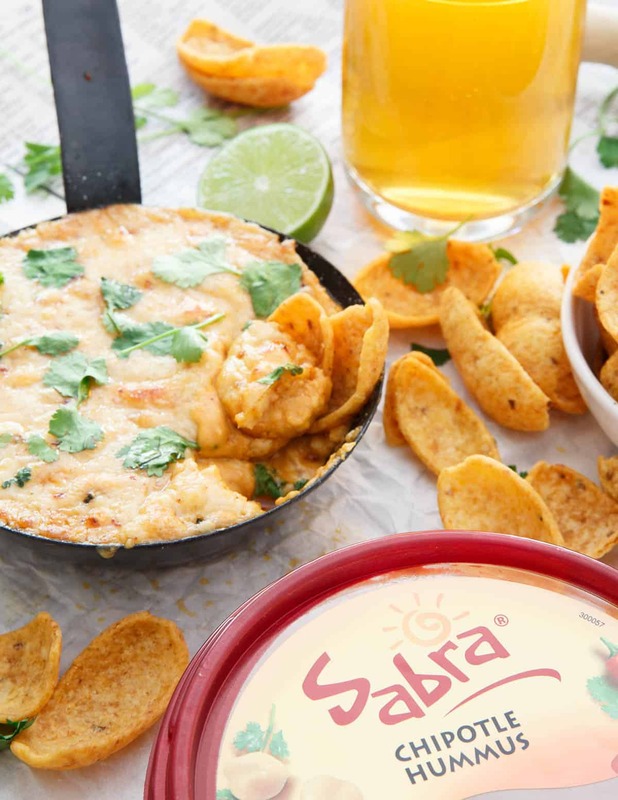 Of course, Sabra is celebrating #NationalHummusDay too (grab your coupon – good today only until midnight EST – here) by combining hummus and the #UnofficialMeal. Would you expect anything less? Last time, we got our Asian on with this Asian hummus platter for the Unofficial Meal (what you’re snacking on while making dinner), today, we’re going Mexican with fundido! 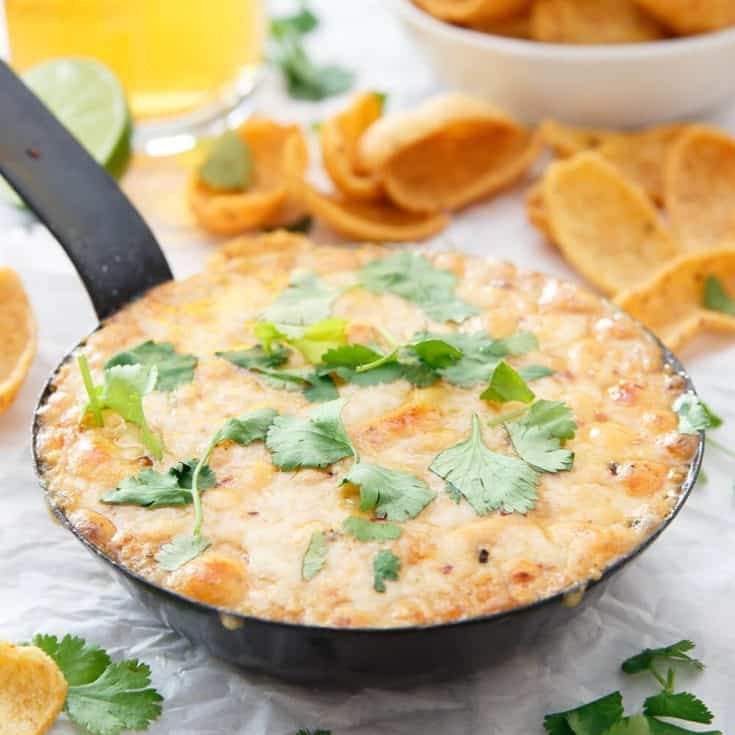 I recently made this lightened up queso fundido over at Kitchen Treaty which made me realize how epically delicious fundido is, even lightened up (go check out the secret ingredient in that one!). I mean, sure, I’ve had it at restaurants before but it wasn’t anything I ever thought to make at home. 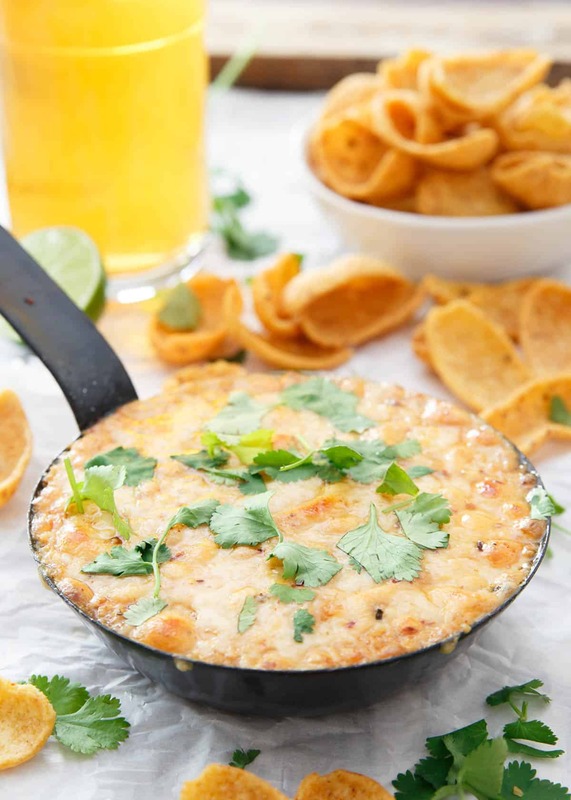 So to celebrate National Hummus Day, what could possibly be better than combining the classic hot cheese dip with the equally classic hummus in this chipotle hummus fundido? It’s a collision of Mexico and the Middle East in your mouth and it takes the unofficial meal of the day to a whole new level. You could use fresh or roasted vegetables for dipping to up your greens for the day, but let’s be honest, a classic pita chip or even some old school Fritos are an easier and more appetizing option. Combine hummus, lime juice and half of the grated cheese in a small bowl and mix together. Transfer mixture to a small cast iron skillet or other oven proof baking dish. Top with remaining cheese and place in oven for 5-7 minutes until cheese is fully melted. Turn oven to broil and broil until golden brown on top, about 1-2 additional minutes. Remove from oven, garnish with cilantro. Serve hot with chips or vegetables for dipping. 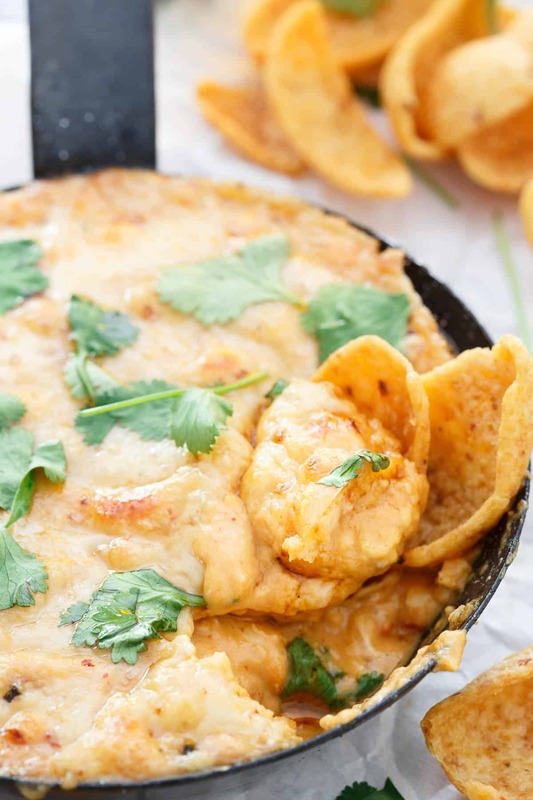 Really this dip looks ooey-gooey fabulous, but then you had to show it with Fritos. I can remember the last time I had Fritos, but boy do I want a whole bag with this dip right now! Such a good idea! I love it! OMG I feel like I could swim in this delicious hummus. I’m so terrible at remember national food days. BAD FOOD BLOGGER! Oh my goodness, this is genius!! What a delicious simple appetizer, all the flavors I crave. I’m going to give this one a try soon! What a great idea! It totally screams for Fritos too! YUM! This is SO creative! Spicy, cheesy and hummus? BEST RECIPE EVER. Just dripping in cheese! YAAAAAssssss! Love it! This has my attention! I can’t handle all that cheesy goodness! This will make it to the scene on Sunday! Thanks for sharing! Simple is always the best ! Thank you !